I find that when I start to feel down, usually for reasons unknown (what could I possibly have to feel bad about? ), the best remedy is to take the focus off of myself. Today was all about other people. We finally got a package out to our friend Deoni (don't worry Rijanah, you're next! ), we visited an elderly woman in the nursing home (who we bumped into while visiting a couple months back), and we met another Mommy who's new to the area (and also from the States). It felt so good, and I think it's great to do stuff like that with children from the very start. 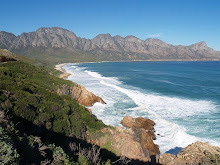 In the process, we saw a bit of the much talked-about city of Goes (and it really is every bit as alluring as they say... bring your walking shoes and allow yourself to get lusciously lost! ), and we discovered the "Spuiplein" market in Vlissingen, a cute little market that takes place every Friday on one of the city's major streets (which they just close off for the day). 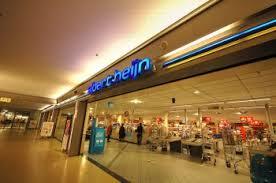 We also went shopping in one of the Zeeland's finest supermarkets, the I-could-spend-an-entire-day-here Albert Heijn. Clean, bright, and beautiful, this grocery store has an incredible variety, roomy aisles, and friendly staff... what more could I ask for? But then again, it's not about me, is it? Your blog entry is so timely and true. Focusing on others is an excellent way to forget the blues. Your town is lovely.